This is a view from Imperial palace plaza. This stone bridge was built in 1887, and it has been very famous for its beauty. By the way,many people mistakenly believe that the name of this bridge is "Niju-bashi" ("double bridge"), but the name "Niju-bashi" actually indicates an steel bridge behind this stone bridge. 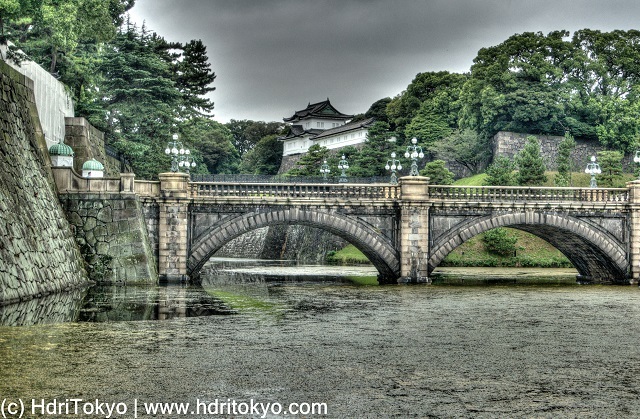 The stone bridge's official name is Seimon-ishi-bashi ("Stone Bridge of the Main Gate").